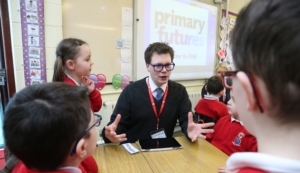 dmh associates brokers the first Primary Futures event to be held in Coleraine, Co. Londonderry, N.Ireland. 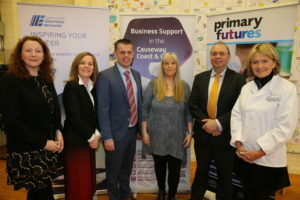 I grew up in the 1970s in Coleraine during ‘the troubles’ and over the years I have recognised an urgent need to find a way of raising children’s aspirations from an early age, particularly in areas where there is disadvantage, and to involve parents, teachers, employers, employees and careers professionals in the process. ‘Well done for bringing this to Northern Ireland”. One of many similar comments from the volunteers at our special launch event for ‘Primary Futures’ in Northern Ireland. 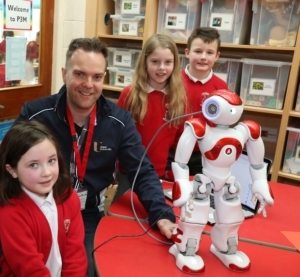 Held at Ballysally Primary School, Coleraine on Thursday 21st March 2019, where all the children and teachers from the school were introduced to career-related learning. 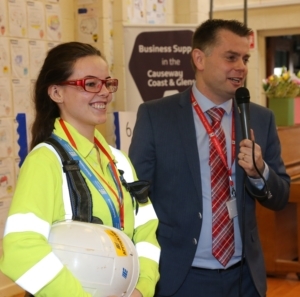 They met an amazing range of more than 40 people from the world of business, science, technology, food, creative arts, engineering, music, retail, sport and innovative entrepreneurs who had travelled from across Northern Ireland especially to visit the school to talk about the world of work. 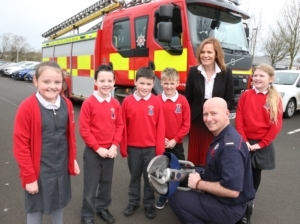 In a first for ‘Primary Futures’ a calendar featuring drawings done by the children will be sent into every child’s home on the housing estate with a clear message to parents and carers that children have hopes, dreams and career aspirations that need to be nurtured. This is the start of a journey which will continue over the coming year(s). Thank you to Geoff Dunn and his brilliant team, working closely with the impressive Education and Employers charity, London. It’s a privilege to be part of this. Also, look out for more information coming soon on a major new CRL initiative in primary schools within the East Midlands region of England. dmh associates is working with partners leading on CRL evaluation and impact assessment with Dr Elnaz Kashefpakdel at Education and Employers Research.